Every year, wild salmon travel hundreds of miles upstream. They fight fierce river currents, leap over rocks and small waterfalls, and die by the thousands of starvation, disease and exposure to cold. Even if they surmount these obstacles the fish risk becoming dinner for hungry predators like bears, birds and humans. Guided by a keen sense of smell, the survivors travel to their original hatching grounds, where they breed, spawn and die in a short space of time. Inspired by the remarkable homing instinct of one of the natural world's greatest wonders, we have selected the salmon as a symbol of fortitude, fecundity, self-sacrifice, loyalty to place and unwavering pursuit of destiny. Yet the salmon has become a deeply paradoxical and controversial creature. Celebrated for centuries as the noblest of fish, it is now just as likely to be deplored as the ignoble product of the aquatic equivalent of battery farming. 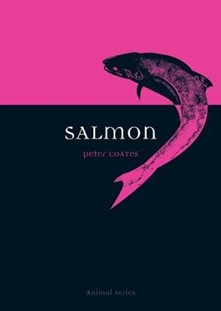 Salmon examines the natural history of the fish and looks at it from the perspectives of those who have studied it, eaten it, pursued it, fought over it, pondered its meaning and absorbed it into culture and art. This innovative biography of a species encompasses the salmon's evolutionary, ecological and human stories, ranging from Nova Scotia to Norway and from Korea to California, and stretching from prehistory to the future. Anyone who has ever eaten or tried to catch one will want to read the book that is the first to serve up the `compleat' salmon.